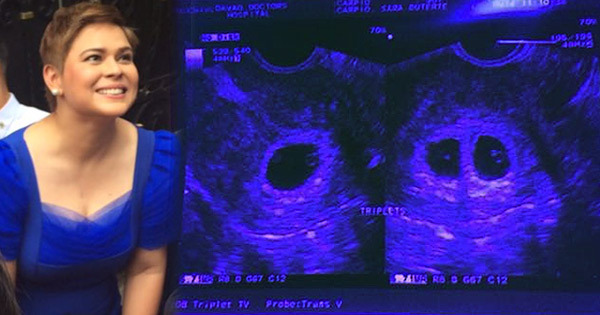 Two of Davao City Mayor Inday Sara Duterte's triplets have no heartbeats. This sad news came two days after a deadly blast rocked the city. According to an ABS-CBN News report, she received the information after the flag raising ceremony at the city hall on Monday. Fortunately, one of the triplets is still "fighting it out," Mayor Duterte reportedly said. Last August 19, the presidential daughter confirmed that she was seven weeks pregnant. In a statement read by city information officer Jefry Tupas, the 38-year-old local chief executive said her pregnancy is "delicate," the reason why she is rarely seen in recent public events. On September 5, Mayor Duterte announced the fetal demise of her twins after the doctor told her about it, following her visit at the wake of the victims of the Roxas night market bombing, Newsdesk Asia reported. According to superstitious belief, a pregnant woman should not visit the wake of a dead person, otherwise something bad will happen to the baby. Many believe though that stress affected her pregnancy.